I finished a couple of books over Christmas, but I'll spare you the details on the project management one and just give you the better of the two. I had heard fabulous reviews about Unbroken from everyone who has read it, so I picked one up for myself and one for my grandfather for Christmas. I hope he likes it. 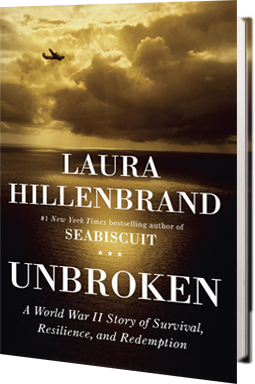 In Unbroken, Hillenbrand (author of Seabiscuit, which I never read or saw*) tells the extraordinary tale of Louis Zamperini, a former Olympian who was lost at sea, captured, and survived a Japanese POW camp during WWII. I had to keep reminding myself while I was reading that it was actually a true story, as in these things really happened. It gave me a renewed and incredible respect for the men and women of the Armed Forces who served or are currently serving our Great Nation. What amazing sacrifices they make and dangers they face to ensure freedom for citizens of the United States of America. I'm not big into history reading, but this captured my interest and held it all the way to the end. It's just that compelling - similar to a movie! I feel like perhaps the ending was a bit rushed. (Funny, I felt the same way about The Hunger Games, but that, my friends, is another soapbox for another day.) But this is an amazing story of redemption and transformation, and I think you would love it too. *Not all that into real-live animal movies, which makes it difficult to get excited to see Warhorse which everyone is raving about. Great minds - I was just about to do a write-up on this book myself! Like you, I struggle to read straight history, but this one kept me on the edge of my seat (edge of the page?). 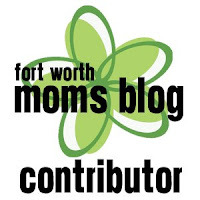 So glad you have read this one and love it, because it's on my 2012 list! Trey got a copy of it for Christmas from one of his coworkers, so it will be one of my next reads. Fun!